Read more about the history and science of the Magdeburg Hemispheres at the Skulls in the Stars blog. via BoingBoing. Magdeburg for me was always about the power of emptiness, how emptiness holds together the two halves of the whole. (read more about the experiment first conducted in 1656) This Fall for the first time I had the chance to visit Magdeburg, a town that has been around for over 1200 years. Magdeburg was a hot place some 1000 years ago where more history happened that in many of today's capitals of the world. Since 1991 Magdeburg has a college with an additional campus in Stendal, a town that has been around for only 800 years. The Magdeburg-Stendal University of Applied Sciences had invited me to give a talk about Memory: „Domi-No:Digital Media as Memory Places“ [the talk was similar to the talk I gave at TEDx Vienna] an interesting topic in a part of the world that has switched memories recently as the Berlin Wall fell and the German Democratic Republic disappeared. Prof. Dr. Michael Herzog had invited me to give the talk and Mr. Klaus Schmotz, the Oberbürgermeister of Stendal (what's an Oberbürgermeister in English?) received us in his office at the main square in Stendal. It was quite a day late in October, Michael had managed all the logistics which was quite a task as I gave the talk twice - in Magdeburg and in Stendal and we had to use some eight different trains, busses, subways, trams to get to the different places. I always enjoy working with students and this was especially rewarding as the two groups of students were very interested and asked lots of questions. I hope to be able to go back and work more interactively with the groups. At the end of the day a group led by the Prorector picked my brains about academic outreach and alumni programs in the US to learn from cultural differences how the university can benefit. A very interesting discourse. Then after a dinner more trains and busses and trams until we finally reached home by 11 PM for some well-deserved classical music. There's much more to Magdeburg than emptiness but the students can definitely benefit from understanding that there is a lot of memory that is not remembered and that not knowing is sometimes the most valuable piece to learn. Much has been lamented about the loss of the Aura of Art in the Age of Digital Media - mostly because the transition from old to new media has been poorly understood or poorly executed. And then comes an amazing collection of landscape photographs by someone who has never been there, has not even taken the photos. In 2013 I gave a TEDx talk in Austria with the title "Nothingness: Energy from Within".The topic for the conference was "Powering Up" with many great talks covering every aspect of energy production, management, ecological alternatives, solarpower plants, and the future city. As very child knows, energy comes out of the plug in the wall which is why parents discourage toddler stop put random metal pieces into those interesting little holes. Alternatively energy comes from power bars. My talk closed the event with a different perspective about the energy potential of form and emptiness. Ways we create power from within in charging and balancing body and mind. When I became interested and then certified in Integral Coaching® these potentials to support clients in their personal development are of special interest to me as they allow clients to develop long-term benefits and life-changing results. The idea continues to develop and gain power. Emptiness does does not differ from form. Form itself is emptiness, emptiness itself form. Power and Energy are always directly related to motion, force and ultimately speed. To move in space and time we need energy in a wide range of forms – internal emotional as well as external energy to sustain our lives. For the longest time we just used the energy sources we could get our hands on: wood, coal, wale blubber, all sorts of fossil and nuclear energy, wind, sun, cow dung, to name a few. While responsible use of resources, and awareness of the impact on our environment and us is always very important and has become a critical argument in selecting and using different energy sources. When discussing the use of energy, efficiency, reduction, new energy forms, we consistently look at the issues in an isolated environment; yet the energy from outside and the energy we have inside us are directly connected. And furthermore, energy and energy usage is always also about communication, be it smart grids, powering a telephone line, socially, sitting around a fire or internally the way we feel at a very moment – spiritual, mental, emotional as well as physical energy. Discussing “alternative energy forms” usually gets stuck because it does not take into account the whole picture. Understanding the energetic potential between form and emptiness, between what we need and don’t need we will get to surprising insights that go beyond the question of sun versus wind. A personal side note - At the age of four, my personal preference was a telephone plug clearly designed to be used as a toy. Official denomination "Telefon-Walzenstecker Anschlussdosenstöpsel ZB 27", clearly an empowering highlight of my early years with an added benefit that it was not life threatening in its use. How Green is the Valley? My paper How Green is the Valley; ICT Markets Are Going Green: The Other Story from Silicon Valley finally got published: ABSTRACT. Sustainability is no longer an added feature but a core element of a major part of industrial developments. While the Silicon Valley is at the forefront of technology development and is trying hard to provide an ecologically responsible and healthy work environment it is challenged by the fact that a major part of its output both in hardware and software is consumption-driven and relies on a neo-colonialist approach to produce its wares while creating a green image. Green tech, briefly one of the fastest growing segments in institutional investment has fallen out of favor in 2013. “Green” is not an add-on that can be introduced as method or legally required, it redefines the way we conceive, produce and consume products overall. The Hokkaido Garden Show 2015 features the Xylophone of forest created by the invisible designs lab "The creator group who changes an invisible sound into a work to see." I first wrote about this piece when it was created as an ad for the limited edition NTT DoCoMo wooden mobile phone in 2012 created by Drill. Inc. I could not find information if this is the same piece or a re-built version. 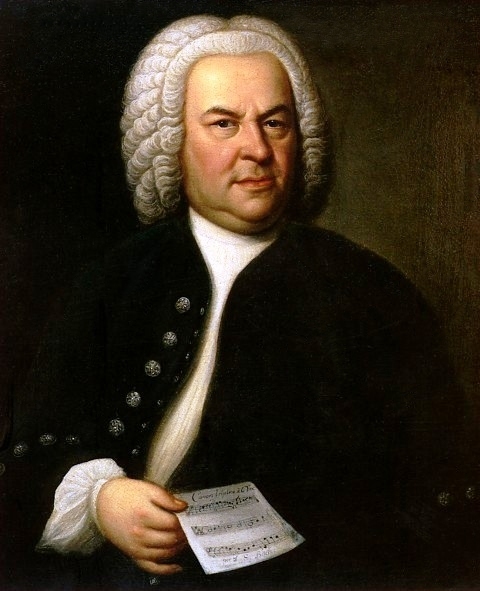 While Bach may be amused by this version of his Cantata 147, it has become a widely publicized piece with many videos - the one below being one of the better ones. If you want to try something similar at home, the is a toy for this. A catalog has been published. I had the chance of working as Henri's personal assistant for several summers 1967 - 1974 and to help building the Musée du Cinéma as well as staging the relaunch of the collection of Chaplin films with Charlie Chaplin attending together with his daughter Geraldine. UPDATE: This photo that I took during my work at the Cinémathèque was recently sold at an art auction in Paris. I have the negative as well as many other photos created during my work at the CF. I never gave the rights to sell this photo or any prints. So I wonder if I should get the funds resulting from this auction. Here is a five minute presentation by the curator of the exhibition: Présentation de l'exposition "Le Musée imaginaire d'Henri Langlois", du 9 avril au 3 aout 2014 à la Cinémathèque française, par Dominique Païni, commissaire de l'exposition.– Le Musée imaginaire d'Henri Langlois...by lacinematheque (in French): "c'est la légende qu'on présente". There's a Bell in My Head that Makes ding-dong and keeps me from thinking. Watch the craziness in the finale of Act 1 of Rossini's opera "An Italian Woman in Algiers", first performed in 1813. Rossini, often discounted as too shallow as a composer has captured in detail and with humor a common challenge when things start to get overwhelming and confusing: all you hear is a bell in your head and the clarity to understand the situation and make a decision is gone. “La mia testa è un campanello che suonando fa din din. Nella testa ho un gran martello mi percuote e fa tac tà. Sono come una cornacchia che spennata fa crà crà Come scoppio di cannone La mia testa fa bum bum.” (translation) — L'Italiana in Algeri, Finale Act 1. Gioacchino Rossini, 1813. Maybe you should meditate. Just sit. Quietly, without moving. Yet this seems to you like the story of the guy admiring impeccable British lawn: How do you get it so perfect? – Oh just water twice a day, cut twice a month and roll twice a year – that's easy – just do it for 300 years... Yet, even if you manage once to sit for 20 minutes without moving, just breathing normally and instead of desperately trying to ban all though just let them come and go, you will experience why you want to do it again. Not so sure? Than you need to try again. No time to sit and meditate for 20 minutes? Then you should sit for 40 minutes. Actually it's not even meditation, just sitting. So even when you think meditation is for wimps, there is a path for you: just sit. You can of course sit on the floor in full lotus position or somehow cross your legs in a way that your knees touch the ground (that's important to get the stability (think stool with three legs) and you will need a cushion or something to elevate your body to accomplish this – or sit on a chair, as long as your spine is straight. Yes meditation is a powerful way to regulate emotion and prevent depression as well as many other benefits, including but not limited to enlightenment. But most important, it allows you to stop the bell ringing, the hammer that knocks and the radio that constantly plays in your head. Try it and you will succeed and the moment you succeed, you will fail again and try again and you cannot graduate or get a black belt and advance. That's it - nothing else. This alone is worth the effort. And it's so simple that it is really hard. And if nothing else helps, listen to Rossini - how they try to escape from Algiers and get back to their home in Italy to be free from the slavery of this crazy guy who keeps everybody with best intention in a luxurious palace. (You get the idea). In my head I have a big hammer which knocks me and goes tick tack. I'm like a crow which when plucked goes craw, craw. The complete opera is here. As Austrian without formal US education I sometimes wonder how the poems of Rainer Maria Rilke appear at most unexpected moments – at event, in seminars, at readings. With so many amazing English and American poets, there must be a secret longing that draws to Rilkes work that is so hard to translate and mostly causes suffering when read - at least to me. I need to talk to the natives - preferable natives who understand German about their experience. Despite best intentions (and you know how dangerous these are), the language of Rilke does not lend itself to translation. And reading Rilkealoud is again a special craft - one that I will only undertake alone. Paul Celan is even harder to translate – only I rarely see references to his work in English. Maybe it is taught less in college. For Rilke, (1875 – 1926) I let the great Oskar Werner speak – and I found German versions with English translations. Please forgive those who put together the videos for the sometimes atrocious image material. They tried hard - and unfortunately it shows. If you understand German, close your eyes, if you need the English text, try not to see the images. Ich sehe den Bäumen die Stürme an, die aus laugewordenen Tagen an meine ängstlichen Fenster schlagen, und höre die Fernen Dinge sagen, die ich nicht ohne Freund ertragen, nicht ohne Schwester lieben kann. Da geht der Sturm, ein Umgestalter, geht durch den Wald und durch die Zeit, und alles ist wie ohne Alter: die Landschaft, wie ein Vers im Psalter, ist Ernst und Wucht und Ewigkeit. Wie ist das klein, womit wir ringen, was mit uns ringt, wie ist das groß; ließen wir, ähnlicher den Dingen, uns so vom großen Sturm bezwingen, - wir würden weit und namenlos. Was wir besiegen, ist das Kleine, und der Erfolg selbst macht uns klein. Das Ewige und Ungemeine will nicht von uns gebogen sein. Das ist der Engel, der den Ringern des Alten Testaments erschien: wenn seiner Widersacher Sehnen im Kampfe sich metallen dehnen, fühlt er sie unter seinen Fingern wie Saiten tiefer Melodien. Wen dieser Engel überwand, welcher so oft auf Kampf verzichtet, der geht gerecht und aufgerichtet und groß aus jener harten Hand, die sich, wie formend, an ihn schmiegte. Die Siege laden ihn nicht ein. Sein Wachstum ist: der Tiefbesiegte von immer Größerem zu sein. The storm, the shifter of shapes, drives on across the woods and across time, and the world looks as if it had no age: the landscape like a line in the psalm book, is seriousness and weight and eternity. What we choose to fight is so tiny! What fights us is so great! If only we would let ourselves be dominated as things do by some immense storm, we would become strong too, and not need names. When we win it’s with small things, and the triumph itself makes us small. What is extraordinary and eternal does not want to be bent by us. I mean the Angel who appeared to the wrestlers of the Old Testament: when the wrestler’s sinews grew long like metal strings, he felt them under his fingers like chords of deep music. Whoever was beaten by this Angel (who often simply declined the fight) went away proud and strengthened and great from that harsh hand, that kneaded him as if to change his shape. Winning does not tempt that man. This is how he grows: by being defeated, decisively, by constantly greater beings. Thank you J.F. for reading the poem today. Herr: es ist Zeit. Der Sommer war sehr groß. Leg deinen Schatten auf die Sonnenuhren, und auf den Fluren laß die Winde los. Befiehl den letzten Früchten voll zu sein; gieb ihnen noch zwei südlichere Tage, dränge sie zur Vollendung hin und jage die letzte Süße in den schweren Wein. Wer jetzt kein Haus hat, baut sich keines mehr. Wer jetzt allein ist, wird es lange bleiben, wird wachen, lesen, lange Briefe schreiben und wird in den Alleen hin und her unruhig wandern, wenn die Blätter treiben. Oh Lord, it's time, it's time. It was a great summer. Lay your shadow now on the sundials, and on the open fields let the winds go! Give the tardy fruits the command to fill; give them two more Mediterranian days, drive them on into their greatness, and press the final sweetness into the heavy wine. Whoever has no house by now will not build. Whoever is alone now, will remain alone,. will wait up, read, write long letters, and walk along sidewalks under large trees, not going home, as the leaves fall and blow away. This Website offers nine (9) translations - none of which "get's" it: great summer - overwhelmed - magnificent - very big ... Listen and you will hear why only "sehr gross" will work here. "Florian Brody, a loquacious Austrian with a background in computer science, film, and linguistics, had put a couple of pages of “The Sheltering Sky” on the PowerBook, turned it on its side, and asserted, “This looks like a book!” You could almost see cartoon lightbulbs flaring over people’s heads." The time at Voyager not only shaped my future work, it also allowed me to contribute to the creation of the first electronic books at a time when a laptop was a curiosity. We showed it to one of the many authors we talked to and after reviewing he asked for the price of such a device - it was over $2000, a lot of money for the time. He commented that this may be a lot of money but probably justifiable for such a book, not being aware that he would also get a fully functional computer "for free". Sometimes late 1988 I got my hands on an Apple Scanner, a wonderful device good for almost nothing with its 4-bit deep images but great to generate input for early OCR software. HyperCard was just becoming the development platform of choice for the multimedia on the Mac. I still recall the day I scanned the pages of Paul Bowles' Sheltering Sky and looked at them on the 13 inch screen of the most expensive computer I had ever bought (some $12,000 - over $23,000 in 2013 money), flipped through the pages, excited about the ability to go back to a page rather than randomly scrolling around. Page consistency – the ability to find something at the same place you saw it the last time – is one of the essential elements of eBooks compared to word processor (old terminology) files. There is a reason why we gave up scrolls for codices for the most part some 1000 years ago. (The Torah Scrolls: exceptio probat regular.) The issue of the loss of location in digital document merits a separate blog entry (forthcoming). It was late in the evening and I had this HyperCard stack with some 60 pages of The Sheltering Sky. I needed to share my newest finding. I had met Bob Stein briefly at the 3rd Microsoft CD-ROM Conference in Seattle in March of 1988 when the Apple CD-ROM drive was introduced. As I supported Apple Austria, driving their multimedia efforts, I had a highly valued – and extremely expensive – AppleLink account with the coveted handle of A.MM (for Austria Multimedia). There was nobody I could call and share my excitement so I sent the whole stack to Mr. Stein in California and went to bed. Next morning I found a response in my inbox if I would be interested to come to California and build this book. I spent a long summer in 1989 and then two years 1990–1992 at Voyager on Pacific Coast Highway in Santa Monica in a building that was neither earthquake safe (= low rent) nor had it decent power or heating (save your files every 2 minutes as the next power failure due to circuit breaker overload from under-table heaters) but we had daily lunch cooked by a South African professional dancer, sunset calls over the Intercom (don't miss the green flash) and boogie boards for the rare lunch breaks. We initially published Jurassic Park, Alice in Wonderland and the Hitchhicker's Guide to the Galaxy for the launch at MacWorld with the dinosaur sounds in Jurassic Park being the most loved feature. "Multimedia" was surely the way to go. It was up to Voyager to turn the "nice add-ons" into media elements that truly expanded the book and the work Michael did on Macbeth. With hardware as well as software no longer available, it will be a museum project to see Macbeth again: "When shall we three meet again? — In thunder, lightning, or in rain? — When the hurlyburly's done, — When the battle's lost and won. ( Macbeth : Act 1, Scene 1). Thanks to Michael Cohen, The Magazine and TidBITS for republishing this article and make it available to be found online. Michael - if you're interested in presenting Macbeth again - I may be able to find a venue. New South China Mall, Living City from Grégoire Basdevant on Vimeo.